Here are some gift ideas that would appeal to gardeners. Gardeners who quilt will be thrilled with the new Love to Quilt series from American Quilter's Society. The series includes 24 booklets, many of which feature garden themes. Calendars and almanacs make great gardening gifts. Here are some that will be of interest. With the year drawing to a close, it's time to think about buying calendars and almanacs. Llewellyn is a leading publisher of almanacs and calendars. Some of these will have special appeal for gardeners. Before the holiday rush begins, buy your 2011 garden calendars now. Purchase some extras for holiday gifts. The garden is pretty much cleaned up, and the spring bulbs are plants. I'm almost ready for winter. Beat the holiday rush and shop early for those almanacs and calendars. These make great gifts for gardeners. Keep extras around for hostess gifts during the holiday season. Certain colors are traditionally associated with each of the seasons. Fall has always been thought of as the harvest season,and the colors of autumn reflect that. Now that the 2013 gardening season is behind us, I will remember it as one of the wettest on record for western North Carolina. All in all, things weren't ideal. Yet, I enjoyed months of reliable color and beauty. A real Christmas tree beats an artificial one hands down whether you buy a cut tree or a live tree to plant in the landscape after Christmas. The following quilt books are part of the American Quilter's Society's series, called Love to Quilt. Many of these feature quilts with garden-related themes that will appeal to gardeners. Simplify your holiday decorating by purchasing ready made wreaths and garlands, and adding your own finishing touches. Choose affordable gifts that enrich the gardener's life throughout the year. Withthe cost of so many things going up in 2006, it´s nice to know there are still affordable, tasteful holiday gifts. Here are some ideas for the holiday season. Whatever you choose to call this holiday, it´s become a fun-filled time. A recent survey found that over 60% of people plan to celebrate. On the average, each consumer is expected to spend around $45. For those special occasions throughout the year choose inspiring and practical garden gifts. My favorite time for travel is normally the spring and fall. During those periods, temperatures tend to be comfortable and lots of things are in bloom. The weeks of late winter seem to just drag on. This can be especially trying for gardeners. We´re eager to get started on those landscaping projects. Meanwhile, here are some tips on weathering the winter blahs. The winter blahs aren´t inevitable. 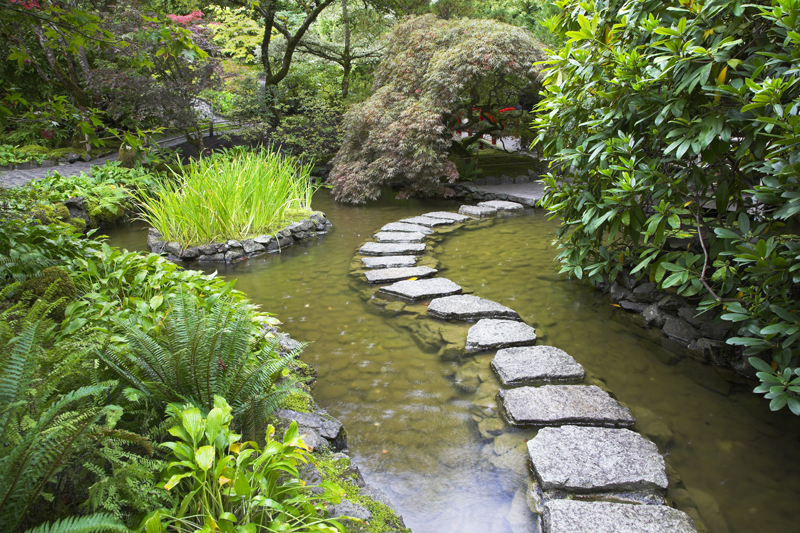 Gardeners can find a number of ways to cope. Displays of Christmas greenery are an integral part of the holiday season. These arrangements can be used indoors and out. Black Pearl and Black Olive are two outstanding award winning ornamental pepper varieties with dark foliage. Gardeners love to receive books on all kinds of garden-related topics. Here are reviews of some recommended titles. For many people on your shopping list, the perfect gift may be a book on their favorite subject. When choosing a book, it is easy enough to find that special title of interest. And matching the book's price to your budjet isn't really a problem. Orchids have become very trendy plants in recent years. So here are some gift books that would be great holiday gifts for gardeners. Add a natural touch to your holiday decorating scheme with fresh greenery. A number of broadleaf evergreen plants are suitable for holiday decorations. Nothing says Christmas like the pungent smell of pine resin. But quite a few flowering plants are also associated with the holidays. Depending on the species, these can be used indoors or outdoors for seasonal interest. Decorating shouldn´t be reserved for Christmas. Whatever the occasion, "Celebrating Home" is the essential guide to seasonal and holiday decorating. You don't have to put up with the winter blahs. Here are some things that can help chase them away. Chinese, Black Hungarian and Mohawk peppers are some highly recommended varieties for the home garden. Chocolate in England and the U.S. The English were able to enjoy chocolate decades before it was manufactured in the U.S.
Chocolate has been around in Europe for over 400 years. It first reached the Spanish. When it comes to choosing a real Christmas trees, you'll find there are many kinds available. Some of these are available as live trees that you can plant in the landscape after the holiday. Gift plants are suitable for most any occasion. They make especially good holiday gifts. With holiday shopping in full swing, here are some recommended books for those gardeners on your holiday shopping list. The early Christian church authorities sought to suppress the use of Christmas greenery but later lifted the ban. Christmas greenery use in Europe pre-dates the arrival of Christianity. Christmas rose was a popular plant for the Christmas season. Conifers can be relied on to bring four seasons of interest. Czech Black pepper and Rooster Spur pepper are two highly recommended heirloom pepper varieties. Aurora ornamental pepper is also an outstanding plant. There is any number of ways to decorate for the holidays using greenery and other plant material from the garden. Holiday plants play a crucial role during Christmas. Gardeners can find many ways to use the plants as well as their images as part of their holiday decorating scheme. The dog days of summer offer a good opportunity to start those garden craft projects you want to use for holiday gifts and shop for early gardening related gifts. Fall is a busy time for the landscape. It´s one of the best times for planting in many areas. As we enter a new gardening season, this is a good time to take stock and review the gardening year. Spruce up the landscape for fall. A great place to start is with those container plantings. Though spring is the time we associate with planting our landscapes, fall is really the best of all. The plants get off to a better start than they do in the spring. As fall approaches, it will bring cooler temperatures. This means it will be a great time for planting most evergreens. There are fewer heat-related stress problems on transplants during this time. They will need less watering than spring transplanted ones. So far as spending is concerned, Mother's Day and Father's Day are about equal. Most people will spend around $100 for gifts. A number of flowering pot plants are available during the holiday seasons. They're mostly used for indoor displays unless hardy species are selected. Something old or something new. Which do you prefer when it comes to fall-blooming plants? Some like the old reliables, the tried and the true ones. Among these would be the mums, pansies, ornamental cabbage and kale, and a few others. Frankincense is one of the plants that are honored at Christmas. Fall is finally here, bringing a new season to the garden. This year simplify your holiday shopping by giving garden books as gifts. Here are some recommended titles. Burpees catalog is bound to please every gardener for there is something to suit every gardening interest. The Fedco seed catalog is truly one of my favorites. They also have a tree and plant catalog with the deadline placing orders from that catalog being March 1, 2019. Orders from the Fedco Trees catalog must be placed by March 1, 2019. In addition to trees, this offers so many other kinds of plants--both edibles and ornamentals. Garden Catalogs 2019--Tomato Growers Supply Co. The Tomato Growers Supply Co.'s 2019 catalog features so much more than just tomatoes. The company also sells seeds of other edible crops along with gardening supplies. Twilley is a great source of seeds for both home gardeners and farmers. They sell treated and untreated seeds. Logee's specializes in novel and exciting new plants in almost all categories. They have plants suitable for landscapes, patios, sunrooms, and indoors. For those gardeners on your shopping list, garden kits are a great gardening gift idea. There's one to suit every taste and interest. Any time of the year is great for starting those garden quilt projects. Here are some books that will inspire gardeners. Though the dog days of summer aren´t a great time for gardening, this is a perfect opportunity to begin planning those fall garden tours. Here are some books that will help. The hours fly when I'm reading a gardening magazine or a good gardening book. These are perfect cures for the late winter blahs. Now that the gloom of January is upon us, gardening catalogs will come to rescue us from the winter doldrums. Here are some highlights from the 2019 Jungs catalog. With weeks to go before Christmas, now is the time to begin shopping for those gardening gifts. Gardeners prefer useful items, such as the following. For the 2009 holiday season give gardeners practical holiday gifts they can use. Simplify your holiday shopping with these gift ideas for gardeners. Show your mom you care with very special gardening gifts. When it comes to gift ideas for gardeners, gardening kits are always a great choice. There is one to fit every budget and interest. Garlands and wreaths have been around for thousands of years. The cooler weather of fall renews our spirits. Fall is a perfect time to get organized and accomplish those unfinished garden projects. Weeks before the last frost of the spring, I´m eager to get things planted. Yet I don´t feel safe in refurbishing the whole landscape with new bedding plants and the like. The solution is to get all the windowboxes and container gardens ready to go. With Mother´s day coming soon, this is an excellent time to begin setting aside gardening items for a gift basket for your mom. Now there´s a book that will help you create a perfect gift. Gardening and bird watching go together like peanut butter and jelly. So here are some bird books for those bird lovers on your holiday shopping list. There are all kinds of gifts that gardeners would love to receive. Here are reviews of some highly recommended books and publications. Give gardeners items that they can use throughout the year. Here are some ideas. With Mother´s day being one of the most important holidays of the year, here are some gift ideas. For 2006, it´s easier than ever to find suitable gifts for gardeners. Gardening kits like the one described below are ideal. Shopping for gardening gifts is so easy. These folks like practical and inspirational items. Now´s the time to begin thinking about those gifts for Mother´s Day. In 2004, consumers spent around $100 with over a third of that going towards flowers and plants. Gifts from the garden are meaningful. They show you care. There's a wonderful new green living holiday guide from Chronicle Books. The cacao or chocolate tree is of tropical origin. It is possible to plant mistletoe. This is regarded as a toxic plant. Christmas rose is also known as black hellebore, This perennial is hardy to zone three. If you want to give something different to those gardeners on your holiday shopping list, create one-of-a-kind gifts. Here are some craft books featuring projects with floral and gardening motifs. Give the gift of gardening by creating handcrafted holiday gifts with garden themes for those on your shopping list. When you´re seeking shelter from the heat and humidity of dog days, begin creating handmade holiday gifts for loved ones. All sorts of garden craft techniques can be used to create unique holiday gifts for gardeners. The holiday season is hectic enough, so why not choose a simple and easy approach to holiday decorating? Hinkelhatz and Bolivian Rainbow ornamental peppers are two wonderful heirloom varieties. These are highly recommended. Holly has been endowed with a rich history over the years. particularly among the pagans and early Christians. Frankincense and myrrh are rather inseparable in their history and use as a Christmas plant. The origins of the modern Christmas tree began during the 16th century. Cacao was apparently used by the Mayans about two thousand years ago in Mexico and Central America. The Yule log was likely a pagan custom adopted by the early Christians. There are so many garden books that are suitable as holiday gifts. Here are just a few titles to consider for that gardener on your list. For those needing ideas for holiday decorating this year, here are some wonderful books from Oxmoor House that will make it so easy. There are many ways to decorate for the holidays. Nothing beats the beauty of plants and decorations made with plant materials. Holidays are for our enjoyment. Decorate both indoors and out with all sorts of greenery and garden materials. Gardeners like useful gifts they can use throughout the yeaer. Herea are some suggestions. Gardeners love to receive practical holiday gifts they can use throughout the year. Here are a few ideas. For many people, shopping for holiday gifts is a real chore. Luckily gardeners are very easy to please. There are many handmade and other items they would love to receive. For most gardeners, practical gifts are by far the best choices. If you need ideas for holiday decorating, holiday gifts or yummy holiday recipes, "Gooseberry Patch Christmas 10th anniversary has the answer. This hoiday guide was released by Leisure Arts. Holiday decorating is easy when you use live plants. There are so many types that add color during the holiday season. Celebrate the holidays in style. Christmas decorations are an important part of that. One quick and easy way to decorat is with holiday plants. During the winter months the landscape is transformed with the use of holiday plants. Here are the stories behind their use. Holiday Time and Holiday Cheer ornamental peppers are two varieties that were named All America Selections winners years ago while Numex Easter is a newer addition to the lineup. The idea that holly has special powers is an ancient one. It has been considered sacred since ancient times. There is a rich folk lore concerning the safe use and disposal of ivy and its rivalry with ivy. English holly plays an important role in Christmas decorations in Britain. Ivy has long served as a decoration for many kinds of celebrations. Nothing ever stays the same,and that´s a good thing. By the time we´re weary of the summer heat and humidity, fall is just around the corner. With proper planning, our landscapes can provide four seasons of interest. Here are a few tips on planning winter gardens. Shopping for Mother´s Day has never been easier. When your mom is a gardener, there are so many suitable gifts. The dog days of late summer are a trying time for gardeners. Hot, muggy weather makes it hard to keep up on garden chores. So, wait until fall for those big projects. Meanwhile, here are some garden-related activities you can do indoors. If you´re tired of cut Christmas trees and can´t bear the sight of artificial ones, try a living Christmas tree. As the 2017 gardening season draws to a close, this is a great time to look at the new year ahead. Before the frenzy of the winter holidays begin, now would be a good time to begin planning for the 2019 gardening season. Masqquerade and Candlelight ornamental peppers and Cayenneta hybrid pepper are highly recommended varieties for the home landscape. Medusa and Lemon Drop ornamental peppers are outstanding varieties. Medusa is suitable for growing indoors. Mistletoe has long been revered as a sacred plant. There are numerous species of mistletoe around the world. These have many host plants. Mistletoe has long been a symbol of peace and romance. When moms are gardeners it is so easy to choose appropriate gifts for Mother's Day. When your mother is a gardener she loves to receive time and labor saving gardening items. The Norfolk Island pine is a living Christmas tree that can be grown as a house plant in cold climates. In warm regions, this is a suitable landscape plant. Wassail has evolved over the years with many kinds of ingredients being added. For most people the holiday season really begins when they buy their Christmas tree whether it is a cut or a live tree to be planted later in the landscape. Onyx Red, Chilly Chili, and Black Hawk are three wonderful varieties of ornamental peppers. Some outstanding varieties of ornamental peppers are available. These include Cayenne Purple as well as the ones in the Explosive series. Banish those winter blahs by planning for the new gardening season. A large number of plant species are suitable for Biblical gardens. Here are some suggestions. Poinsettia and Numex Twilight ornamental peppers are two gorgeous varieties for the landscape. Poinsettias bring everything one could want in a Christmas plant. The Yule log has long been a tradition in the West. Various beliefs and rituals surround the custom. Buckwheat is a worthwhile crop for home gardeners and homesteaders to grow when enough land is available. This is often used as an animal feed. Of all the plants associated with Christmas, the rosemary is by far my favorite. With summer in full swing, it is important to budget enough time for routine care throughout the season. Christmas is a wonderful time to be a gardener because so many plants are associated with this holiday. Gardeners are ready for spring after a long hard winter. Winter is a trying time for gardeners. Use this opportunity to start those garden-related craft projects. Here are some excellent books. Nothing says you care as much as a handmade gift. When someone on your holiday shopping list is a gardener, handmade craft items with garden themes make very good gifts. Here are a few books to get you going. Cappa Top Fruit ornamental pepper, Cheyenne pepper, and Little Elf ornamental peppers are only some of the many varieties that are available to home gardeners. With the holidays being such a stressful time, simply your gift shopping by giving books. Gardening books make great gifts. If you´re looking for some affordable items to use as last minute gifts, here are some foolproof landscape and garden-related ideas. Whether you need stocking stuffers or hostess gifts during the holidays for gardeners on your shopping list, books are an excellent choice. Here are some gift books for holiday giving. For those gardeners on your holiday shopping list, consider books on gardening and related subjects. Here are some recommended titles. With the holiday season approaching quickly, here are some gift books that are ideal for gardeners. Gardeners like to receive practical and inspiring gifts for the holidays. Here are reviews of some books that are sure to please. For the most part, gardeners prefer practical holiday gifts. Here are some affordable gifts that won´t break your budget. Of the many kinds of ornamental pepper varieties that are available, the following are highly recommended. Give heartfelt gifts those gardeners will appreciate. There are suitable ideas whethery they garden indoors or out. The narrow leaved evergreen boughs are a mainstay when it comes to holiday decorating. It doesn't feel like Christmas without a wreath made from these materials. Garden quilts are eye candy. They bring the beauty of gardens indoors for gardeners to enjoy throughout the year. Here are some inspiring books with garden quilt projects. Fish and Numex Twilight ornamental peppers are two wonderful varieties that will delight home gardeners. If you´re looking for a really outstanding holiday gift for that special gardener on your shopping list, here are some suitable books for garden gifts. Spring is a time of renewal. Before the last frost, we can plant cool season spring-flowering annuals to provide color in the landscape. The cloudy, dismal, late winter days seem unusually cold. Seemingly lasting for weeks, they bring on the winter blahs. Sweet Pickle pepper and the pumpkin pepper are beautiful plants for the landscape. Fall really can be the best season in the landscape. I prefer it to spring because during the spring there is always such a rush to get everything done. And the vibrant colors of autumn are certainly as enjoyable as the early show of spring flowers. Holly is often used for Christmas decorations. This plant is known by many common names. The cacao or chocolate tree originated in South and Central America. Long associated with Christmas, the Christmas rose isn't really a rose after all. Various folk legends describe its role at Christmas. The Christmas tree was first used in the early 1800s in America by German settlers. A large number of plants are associated with the holiday season, including some herbs and spices. From the lodgepole pine to the white pine, our landscapes offer all sorts of plants that can be used as Christmas trees. The modern Christmas tree originated in Germany around four hundred years ago. When passing through the floral department of the supermarket, I am inevitably attracted to the lovely ornamental pepper plants. The foliage of trees and shrubs begin to change color during the fall from their mostly greens to a range of colors from oranges and reds to golds. Mistletoe is a common decoration during the Christmas season. Fall wouldn´t be complete without pumpkins. These are one versatile vegetable. Tiny Samoa and Pretty Purple ornamental peppers are two very beautiful varieties for the landscape. Trifetta, Purple Flash, and Tricolore Garda are all wonderful ornamental peppers for the home garden. Despite the economic downtown, there are many affordable Valentine´s gifts for gardeners. Cut flowers and pot plants are by far the most appropriate Valentine's gifts. One of the customs in the Christmas season is drinking wassail. This has a long and rich history. The dog days of summer seem to have arrived early this year. Short of moving to Alaska or other cooler areas, what can we do to keep our sanity? This is Part I of a two-part series. This is the final article of a two-part series on weathering the dog days of summer. Yatsafusa and Super Chile peppers are two outstanding pepper varieties with great ornamental value.